Incheon is known to be a major port city in Korea with its location being right next to the West Sea. Aside from being in a position that serves as an important location for goods and cultural exchange, Incheon is also a city that provides great opportunities for tourism. The nearby sea is dotted with plenty of islands and islets that make great tourist attractions. 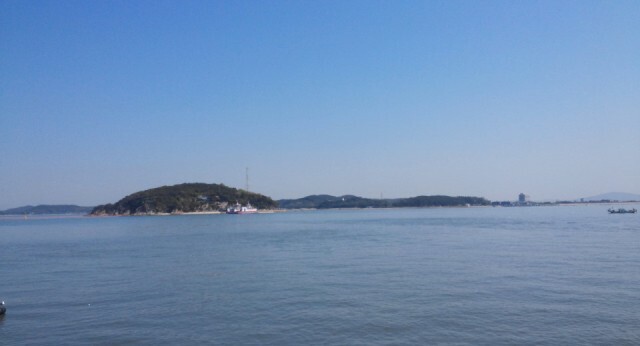 The Incheon islands then make a great reason to visit the city. Many Incheon residents make it a point to travel to Seoul everyday because of work. In contrast, many locals who live in Seoul take a peep at Incheon during the weekends to enjoy the fresh air, yummy seafood and to visit the nearby islands. Seokmodo Island – Tourists of the island will especially like crossing the seashore as their eyes feast on the scenic views of the island. The most interesting part of Seokmodo is the Mienmeoru Beach and the Bomunsa Temple where tourists can get magnificent views of the horizon. Yeongjong Island – This particular island was once known to provide isolated tranquility to those who visit it; however, the construction of bridges that make access to island easier has declined this isolation. The center part the island is marked by Mount Bakeunsan, where the Yonggungsa Temple stands. This mountain is especially popular for its mineral mountain water spring. Muuido Island – Located quite near the Yeongjong Island, the Muuido Island is also known as the Mui Island for short. Muuido is the prettiest of the islands, with its outstretched beaches that lie beside the cool calm sea. The beaches of Muuido are so popular that it has often been chosen as a set location for many Korean dramas. Because the island is not located too far from the city center, the Silmi Beach and the Hanagae Beach of Muuido provide great spots where locals can enjoy a relaxing weekend off. Ganghwa Island – One of the more popular islands of Incheon is the Ganghwa Island, which is also the largest island of the country. The island is further divided into more islets, some being habited and inhabited with its beach stretched to about 99 kilometers long. The Ganghwa Island is particularly known to provide a taste of Korean heritage and history as the island has served as both gatekeeper and getaway of the country for many years. Whenever the hectic tangles of city life are too much to bear, the offshore islands of Incheon provides a ready escape for residents of the city or to travelers from abroad. Most of these islands are relatively new in terms of development which means that most of them have a clean, safe and modern environment travelers can enjoy in. Incheon islands are definitely a great choice to go to for a temporary getaway from the capital that is not too far from the comforts of the city center.